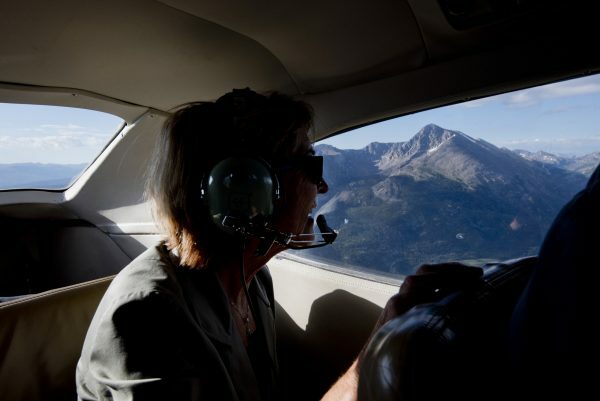 Eagle County Commissioner Kathy Chandler-Henry checks out New York Mountain from an EcoFlight flyover of the proposed Continental Divide Wilderness and Recreation Act (Dan David, Trekker Photography). Who says Congress can’t get anything done? Well, a lot of people. But on Tuesday the House of Representatives actually passed a bipartisan bill that should prove very helpful for the town of Minturn. Sponsored by U.S. Rep. Jared Polis, D-Boulder, it’s called the Bolts Ditch Access and Use Act. If it passes in the Senate, where Colorado Sens. Michael Bennet and Cory Gardner have introduced a version in the upper chamber, the bill would allow the town of Minturn to access Bolts Ditch in order use existing water rights to fill Bolts Lake. Right now that’s problematic because Bolts Ditch was accidentally included in the Holy Cross Wilderness Area back in 1980. That’s why it’s a good idea to get all the local water authorities and local governments on board before proposing wilderness legislation. One of the big hurdles in drafting a Senate version of Polis’ Continental Divide Wilderness and Recreation Act was understandable resistance from the Eagle Valley Water and Sanitation District, which wants to maintain access to water sources in any proposed additions to the Eagles Nest and Holy Cross Wilderness Areas. 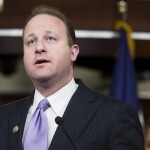 WASHINGTON – Rep. Jared Polis (D-Colo.) today passed the Bolts Ditch Access and Use Act (H.R. 4510) out of the House of Representatives. This bill directs the U.S. Department of Agriculture to authorize special use access of Bolts Ditch for the diversion of water and maintenance by the town of Minturn, Colorado. When Congress designated Holy Cross a Wilderness Area in 1980, legislators inadvertently left Bolts Ditch off the list of existing water facilities. The bill would authorize special use of the Bolts Ditch headgate and the segment of the Bolts Ditch within the Holy Cross Wilderness Area, allowing the Town of Minturn to use its existing water rights to fill Bolts Lake. Sen. Michael Bennet (D-Colo.) and Sen. Cory Gardner (R-Colo.) introduced companion Bolts Ditch legislation in the Senate. 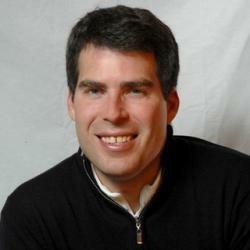 Both Rep. Doug Lamborn (R-Colo.) and Rep. Scott Tipton (R-Colo.) are co-sponsors of H.R. 4510 in the House of Representatives.